Thousands of large caterpillars everywhere! In the Twentynine Palms region of the US state of California huge numbers of caterpillars appeared last month in residential areas, on roads, fences and open ground. These were the caterpillars of the White-lined Sphinx, Hyles lineata, a species of Hawkmoth known for having periodic population explosions. 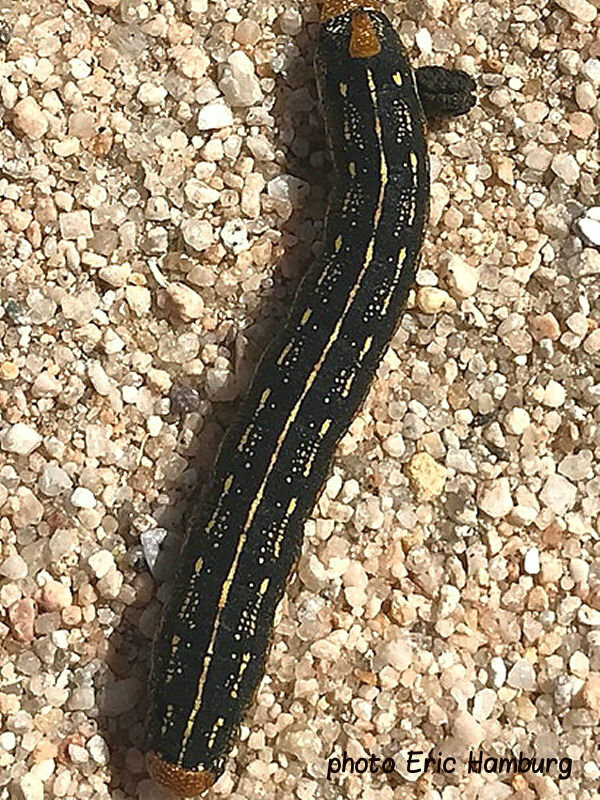 The caterpillars are extremely variable in colour but many were of the same form as the one in the image shown left received from Eric Hamburg. Eric noted that on the edge of the Mojave Desert north east of Twentynine Palms they were feeding on Brown-eye Primrose. Presumably once this food source was exhausted they then began wandering in their thousands into residential areas in search of new food. 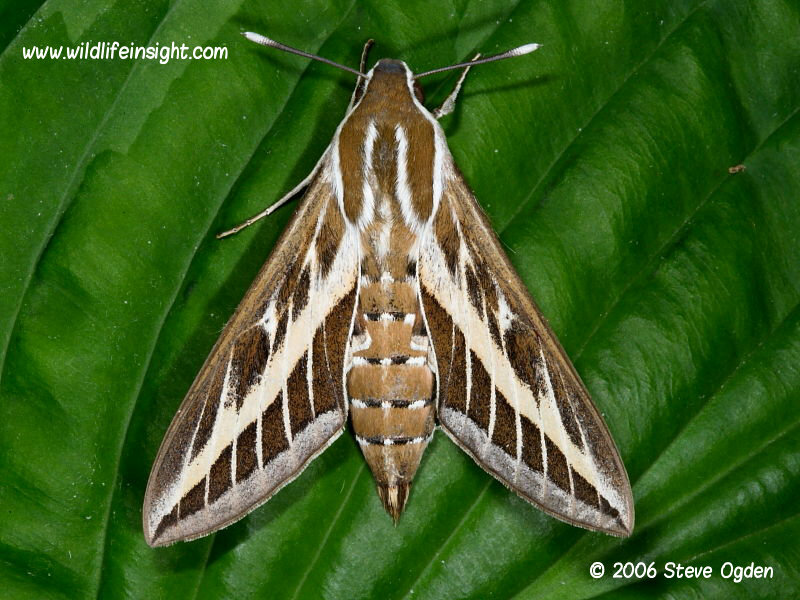 The adult White-lined Sphinx is very similar to the Striped Hawkmoth, Hyles livornica, found in many other parts of the world including Europe, Asia, Middle East and Africa. Unusual numbers of spring Goat Moth caterpillars in the UK. Some stunning African Hawkmoths and Emperor moths. A surge in European Brown-tails caterpillar sightings. Several species of Tent caterpillars from southern US states. Tussock moths from around the world including Hong Kong, Indonesia, US, South Africa and Australia. Small Webs of Small Eggar caterpillars from Croatia and the UK. Caterpillars of the Atlas Moth, the worlds largest moth, from Singapore. So much more when time permits. Please keep sightings coming – images to be added with accreditation. If seeking identifications please see guidelines on helpful information to provide.